Design Manchester exists to connect and advance the design community in Manchester, and to promote the image of Manchester, as an innovative design city with a radical heritage, around the world. We aim to increase awareness that design is not something that only sits in culture or interiors or fashion, but that it is an agent of innovation and improvement in all sectors of the economy and all aspects of life. Design is for everyone. In the five festivals since 2013, we’ve covered a wide range of design sectors and disciplines, including: graphics and print; transport and mobility; music, media, performance and film; inclusive design including age-friendly design and cognitive design; architecture and the public realm; textiles and fashion; digital and service design. We will continue to focus on all these and continually expand our range. In 2018, our focus is on disruption: the transformative power of design. From the outset, Design Manchester has worked closely with Manchester City Council and Manchester School of Art at Manchester Metropolitan University. In addition we have built an extensive network of partners who include many of Manchester’s key stakeholders: the Universities of Manchester, Salford, Bolton and Lancaster; Manchester School of Architecture and Manchester Fashion Institute; the BBC, HOME, the Lowry, the Whitworth, Manchester Art Gallery, the National Football Museum, the Museum of Science & Industry, Contact Theatre and the O2 Ritz; the Greater Manchester Combined Authority, Transport for Greater Manchester and Manchester Society of Architects; developers Allied London, Bruntwood and St Michael’s. We collaborate with other industry and cultural organisations such as Manchester Digital, Manchester International Festival and the Manchester Science Festival . Some, including Manchester Print Fair, the Great Northern Contemporary Craft Fair and Manchester Art Fair, have joined us to become part of our annual festival. Nationally we have forged links with the Design Council, the Arts & Humanities Research Council, Arts Council England, the Royal Society of Arts, Creative Industries Federation, the All-Party Parliamentary Design & Innovation Group, and in the media sphere with The Guardian and Creative Review. We have developed partnerships with numerous commercial sponsors who have enabled us to expand the reach and scope of the festival with exciting programmes and events. 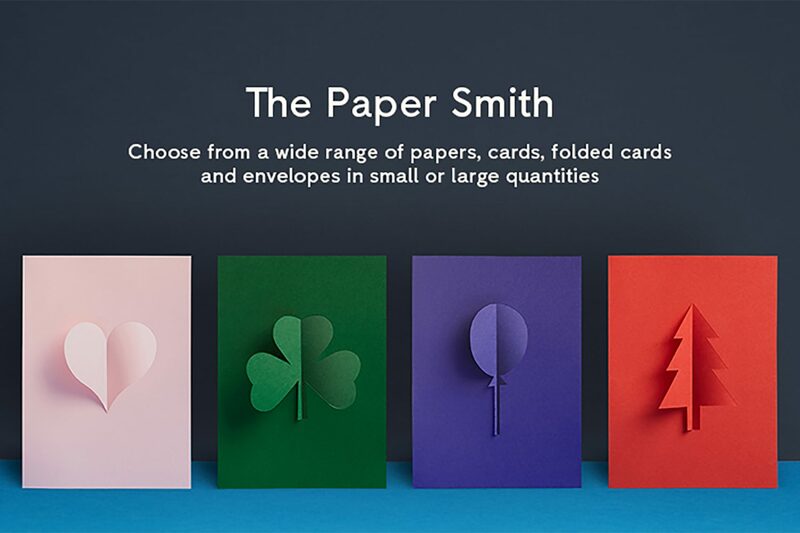 G . F Smith, the paper company, has supported Design Manchester from the start. They’ve organised workshops and exhibitions, and sponsored not only the festival but a wide range of events as well as our annual Document magazine. The partnership has raised public awareness of the G . F Smith brand and provided a showcase for the company’s products to the professional designers, studios, creative industry and emerging creative talent who are its prime market. The Co-op’s partnership with Design Manchester raised its profile in the design community, making established and emerging talent alike aware of the opportunities offered by its transformation programme. The effectiveness of that programme, and the perception of the Co-op in the digital creative sector, were underlined recently when Co-op Digital scooped the two most prestigious awards at Big Chip 2018: the Anthony Wilson Award (chosen by Martha Lane Fox) for Co-op Shifts, and the Grand Prix for Co-op Funeralcare, a project that had been presented at Design Manchester’s DM17 Conference last October. 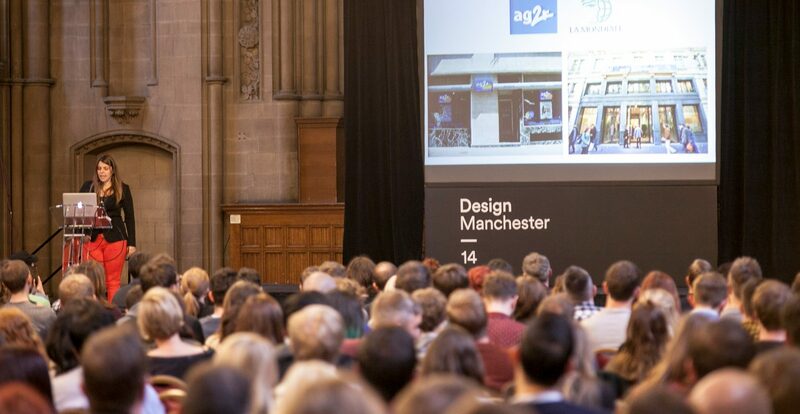 Each sponsor has its own reasons for engaging with Manchester’s design festival. As an industry partnership organisation, we work hard with every one of our partners to ensure the success of our shared vision, delivering benefits for our partners and added quality and depth in our festival. If you would like to find out more about partnering with Design Manchester, please email Kasper de Graaf, our partnerships director.